Hallelujah! Come celebrate life with us! 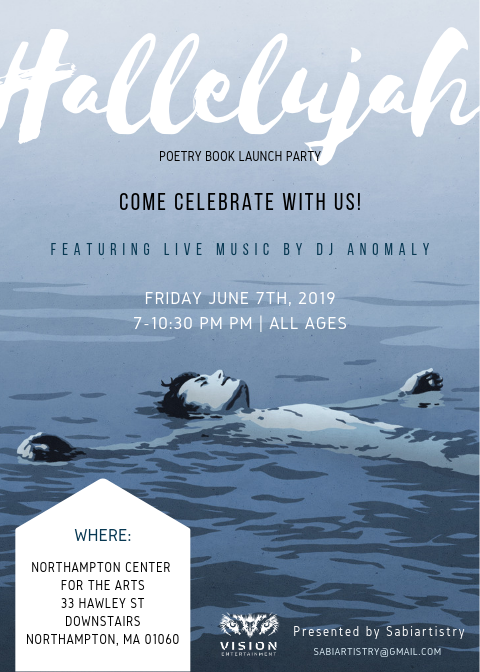 Meet with author Sabrina Suarez as she celebrates the launch of her poetry book, Hallelujah, which sheds light on the thoughts and experiences of those who are often forgotten in the struggle with mental illness — the supporters. This is more than your average launch party. This is a celebration a life, love, and happiness that can be found after mental illness! Food and refreshments will be available at the event along with live music by DJ Anomaly! Admission is free with the purchase of a book.